Following a 3 year residency in internal medicine and a 3 year residency in Dermatology, Dr. Sky Connolly pursued a 1 year fellowship dedicated to Mohs micrographic surgery and facial reconstruction under the direction of Whitney Tope, M.D. at the University of Minnesota. Dr. Connolly is the sole provider of Mohs Micrographic Surgery at Albuquerque Dermatology Associates. The technique, devised by Frederic Mohs in 1937, was created in an effort to reduce the risk of recurrence of skin cancer and to minimize tissue loss while patients undergo resection of skin cancer. Patients visit with Dr. Connolly prior to undergoing Mohs surgery to discuss the procedure and associated risks. On the day of surgery the patient reports to the clinic in the morning and the site is anesthetized (numbed) with a local anesthetic injection. Dr. Connolly removes the area believed to represent cancer with a scalpel blade. This tissue is then taken to our on-site Mohs laboratory, where it will be processed, stained and then examined by Dr. Connolly under the microscope. When tissue examination indicates there is still presence of skin cancer on the patient, Dr. Connolly returns to the patient to remove additional tissue in the direction that has been determined the skin cancer is traveling. Tissue is removed 1-2 mm. at a time and this process is repeated until tissue margins are clear. Dr. Connolly describes this process as "mining a silver vein until it is empty". Once all margins are clear and there is no reason to believe that any cancer remains, reconstructive options can then be discussed with the patient. The surgical procedure mentioned above, as well as the reconstructive options and risks specific to the surgery site are all discussed in detail during the pre-Mohs surgery consultation. These consultations are usually done several days prior to the scheduled surgery appointment. 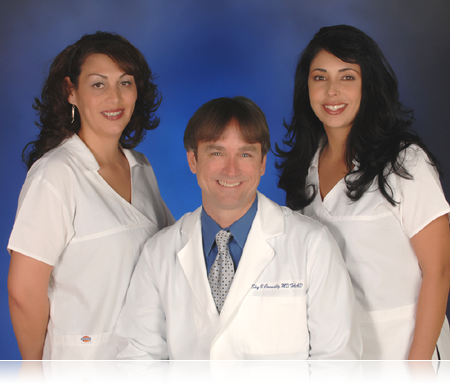 Dr. Connolly has a dedicated staff of assistants that have been working with him since 2000. Eva and Lisa are both certified medical assistants and they are essential in the operation process, as well as providing important information and support in post-operative care. They are available to answer patient questions and to schedule the surgical procedures for patients.